Yes, the girls too. But if you’re from my generation, that line from the song evokes a whole world of nostalgia, pulled down the rails by twin dueling guitars, big hair and the wild-eyed hint of dangerous, unlimited possibilities that ran so rampant in the mid-70’s. This week, I’m spending my days with a different form of nostalgia, one from even further back. One fueled by massive 14-cylinder radial engines and even more noise than Thin Lizzy could put out in their wildest concerts. 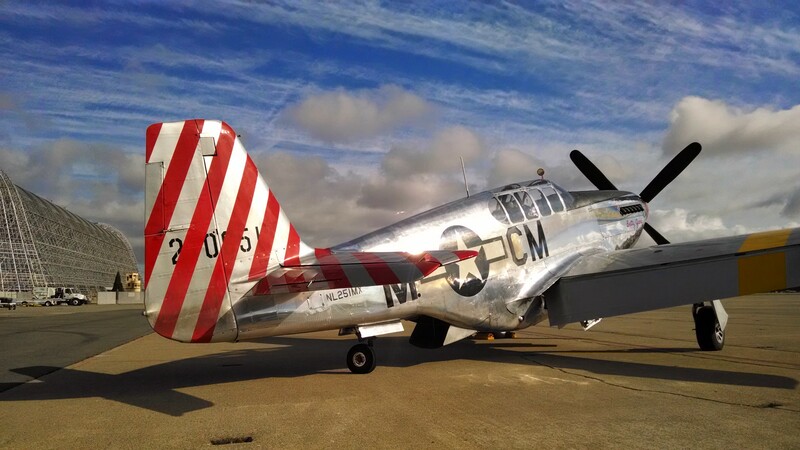 You remember how last year I got my first P-51 ride? And how I was so smitten by the Collings Foundation gang that I pulled every trick in the book to get invited to their winter ground school, and go out on tour with them for a week back in February? Well, the tour’s in town. 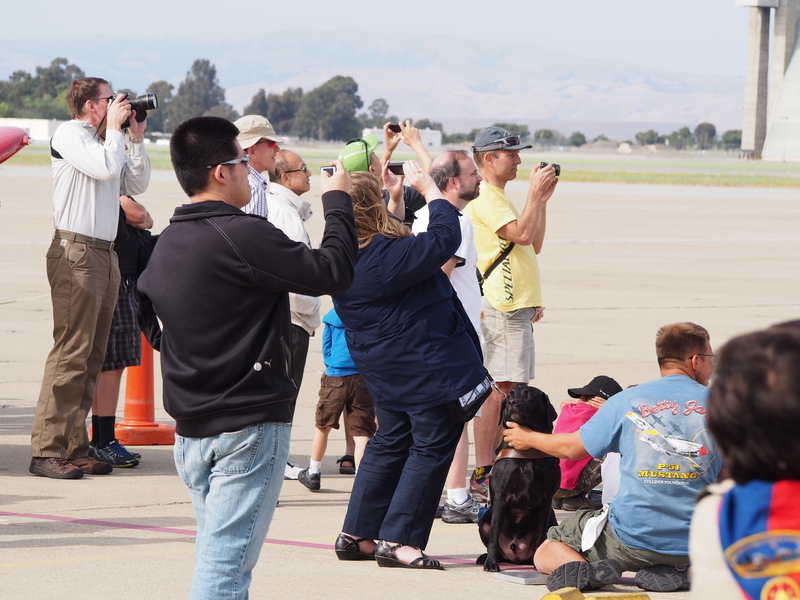 Jim, Mac, Steve, Elaine, Mike, Andrea and the rest of the gang have spent the past few months working their way west low in the skies over Interstate 10, up the west coast, and are spending the next week at Moffett Field, just four miles south. Me? I’m spending every moment Devon will let me get away from family duties out there with them, pulling chocks, working the PX, giving tours and wiping oil off the engines. When there are quiet moments, I duck into the cockpits of the B-17 and P-51 which, if all goes well, I’ll be getting to fly a bit later this week. 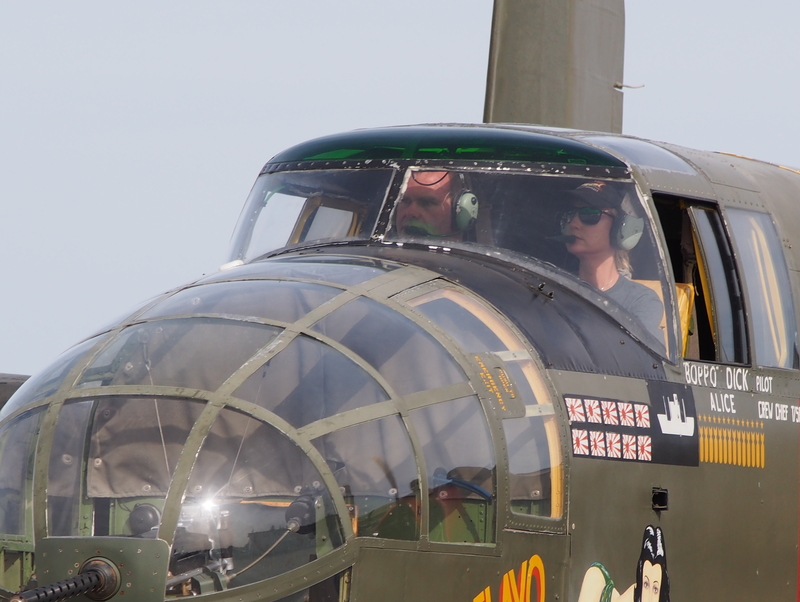 Come on down if you’re able – $12 gets you in the gate, where you can wander around a B-25 and crawl inside a B-17 and B-24 (the P-51 is behind a rope – a little to easy for the inexperienced to break things on that bird). First thing in the morning and later afternoon, they give rides – expensive at $450 a pop, but as Ryan says, nobody ever asks for their money back when they climb out.